Kensington House Hotel is perfectly situated for guests to enjoy the best of royal London and with rates starting at just £99 per room at Kensington House Hotel* everyone will be happy. This great value package includes; overnight accommodation, continental buffet breakfast and a bottle of house wine. This unique memorial to Diana, Princess of Wales was opened by Her Majesty The Queen on 6th July 2004. The design aims to reflect Diana’s life, water flows from the highest point in two directions as it cascades, swirls and bubbles before meeting in a calm pool at the bottom. The Memorial also symbolises Diana’s quality and openness, with three bridges where you can cross the water and go right to the heart of the fountain. Originally built for William III and Mary II at the end of the 17th century, Kensington Palace has been a museum, a barracks and a private residence. It is perhaps best known today as the London home of Diana, Princess of Wales and the Duke and Duchess of Cambridge. There are a great many rooms to see – the Queen’s and The Kings Apartment’s as well as the room where Queen Victoria was born. Temporary exhibitions are a constant draw and at present, it’s all about Diana and her fashion story. The accompanying Palace gardens really enhance the setting of the Palace as well as being a lovely spot to sit and take in the magnificent planting. The Palace is open 10am until 6pm daily and tickets cost £17.10 if booked online. It is free for Historic Royal Palaces members. 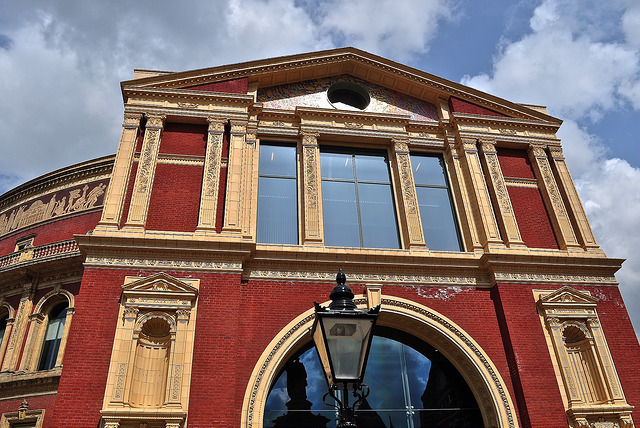 The Royal Albert Hall opened on 29th March 1871 with the largest iron roof structure and the largest pipe organ in the world at the time. The design took inspiration from Henry Cole’s love of the amphitheatres of southern France – namely Nimes and Arles – and the interior does seem to have a similar horse-shoe shape, similar to Rome’s Colisseum. Upon opening, a huge – seemingly unsurmountable – problem soon revealed itself – the acoustics were awful with a resounding echo which lead some wags to say that you pay for one concert and get a second free with the echo! It was only in 1969, that the problem was finally resolved with dampening discs. More recently, between 1996 and 2004 in fact, further work took place – this time largely behind the scenes or rather below them – the largest refurbishment since the Hall opened to allow greater access and better services. 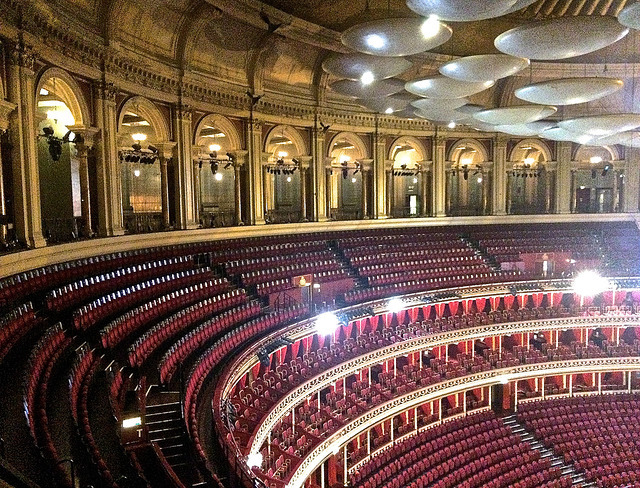 Today, over a million people a year watch sports, theatre, opera and rock concerts at this Grade I listed venue with over 350 performances per annum. 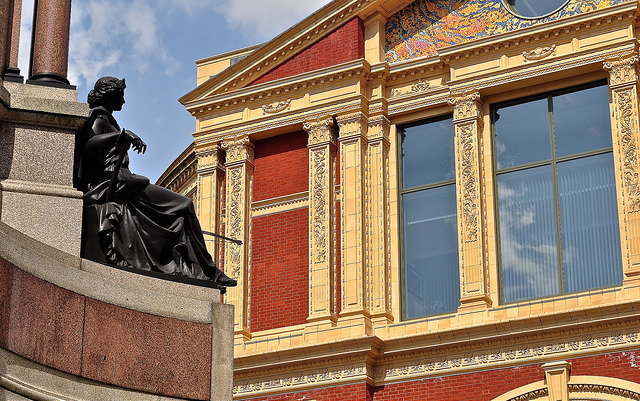 For a list of performances visit www.royalalberthall.com or why not take the tour of the Hall for £13 per adult – group size limited to 20 pax – for around an hour and enjoy 10% discount at both the shop and the rather tasty cafe next to it. This summers’ block buster is Balenciaga: Shaping Fashion, this exhibition examines the work and legacy of influential Spanish couturier Cristóbal Balenciaga, with over 100 pieces crafted by ‘the master’ of couture, his protégées and contemporary fashion designers working in the same innovative tradition. Tickets cost £12 with members going free. Open daily 10am to 5.45pm and admission free to the general collections, with the larger temporary exhibitions being ticketed. Buckingham Palace is the working headquarters of the Monarchy, where The Queen carries out her official and ceremonial duties as Head of State of the United Kingdom and Head of the Commonwealth. The Royal Day Out ticket include admission to all three venues around Buckingham Palace: The Queen’s Gallery, the Royal Mews and the State Rooms. It is the perfect purchase for visitors looking to make the most of their visit to the Palace. In 2017 all visits to the State Rooms also includes the special exhibition Royal Gifts which tells the story of The Queen’s reign through a wide-ranging display of official gifts presented to Her Majesty during the past 65 years, representing a spectacular display of craftsmanship from across the globe. Royal Day Out tickets cost £39.50 for an adult ticket and the Palace is open daily 9:30am to 7:30pm. Conditions: minimum 2 night stay; must be booked at least 7 days in advance; rates Include VAT; Offer available until 10th July; available Monday to Friday; package is payable at booking stage and is non refundable; no cancellations or modifications permitted for this package. Notes to Editors: Kensington House Hotel, a contemporary town house of just 41 rooms, situated on Prince of Wales Terrace within an historic 19th century façade, has taken its place amongst the Kensington set and London’s cognoscenti. Stylish, intimate and friendly, this cool and understated property, which lies just off High Street Kensington, is an oasis of calm amidst the buzz of central London with overnight rates starting at £120 inclusive of VAT and breakfast. 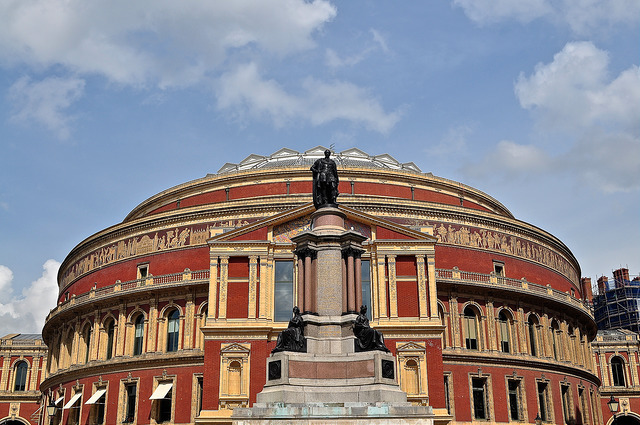 A little known fact about Kensington House Hotel, is that it is only eight minutes’ walk from the Royal Albert Hall. This year the schedule for the Hall is as eclectic as London itself and with rates starting at just £99 per room at Kensington House Hotel* everyone will be happy. This great value package includes; overnight accommodation, continental buffet breakfast and a bottle of house wine. Amy Macdonald, Monday 3rd April 2017: Scottish singer-songwriter Amy Macdonald will give her first ever headline performance at the Royal Albert Hall as part of her first UK tour in four years. Still only 29 years old, Amy has released three albums, selling over five million records worldwide. Support at this concert will come from platinum-selling singer-songwriter Newton Faulkner. 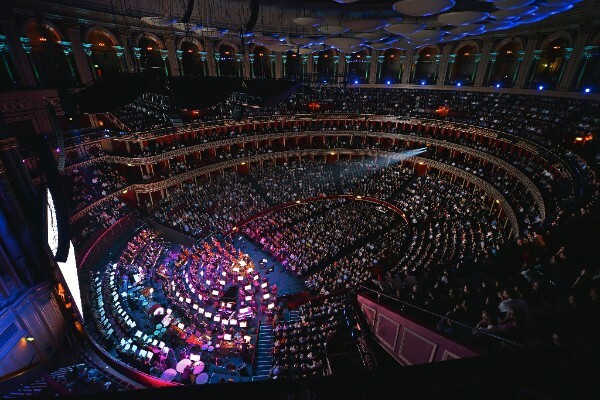 The Music of Bond, Tuesday 11th April 2017: The Royal Philharmonic Orchestra returns to London’s Royal Albert Hall to perform The Music of Bond, following its sensational sell-out performance in October 2015. Presented by A View to a Kill’s ‘Bond girl’ Fiona Fullerton, we celebrate over fifty years of timeless James Bond theme songs with hits from Goldfinger, Casino Royale, From Russia With Love, Diamonds Are Forever, Skyfall, Spectre and many more, all sung by outstanding vocalists Alison Jiear and Simon Bowman. IL VOLO, Tuesday 23rd May 2017: Award-winning pop opera group IL VOLO is one of the biggest names in the classical-crossover genre, with a sound that combines traditional opera, pop, and classical symphonic music. 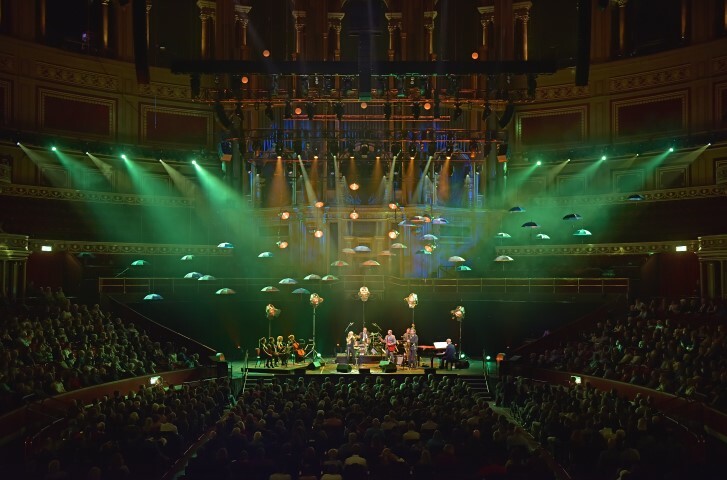 In 2017 they head to the Royal Albert Hall London making their debut performance at the historic venue. Juan Diego Flórez, Friday 2nd June: World-famous tenor Juan Diego Flórez will return to the Royal Albert Hall in 2017, joined by Royal Philharmonic Concert Orchestra for an evening of Mozart, Rossini, Verdi, Gounod and Latin American songs. RPO Tchaikovsky Gala, Tuesday 20th June: Experience the passion, magic and drama of Tchaikovsky in a concert brimming full with some of his most celebrated and romantic works, including the incomparable Piano Concerto No.1, performed by the young and internationally acclaimed Swiss-Canadian pianist Teo Gheorghiu, exquisite extracts from the enormously popular The Nutcracker, and a thrilling 1812 Overture firework finale. Conducted by the RPO’s Permanent Associate Conductor, Grzegorz Nowak. Afternoon Tea Tour, selected dates throughout the year: Take an absorbing one-hour Grand Tour of the building followed by a quintessentially British Afternoon Tea in the elegant surroundings of the Hall’s Verdi restaurant. Enjoy traditional treats, scones, finger sandwiches and a pot of the finest East India Company tea. Plan for the proms – The BBC Proms 2017 season will be announced in April and the season will run from Friday 14th July to the Last Night on Saturday 9th September. Conditions: minimum 2 night stay; must be booked at least 7 days in advance; rates Include VAT; Offer available from 1st March to 10th July; available Monday to Friday; package is payable at booking stage and is non refundable; no cancellations or modifications permitted for this package. As the nights draw in and the temperature drops the London cultural season comes to life, offering an eclectic mix which will keep everyone happy. With rates starting at around £120 per double room including continental buffet breakfast and VAT there is no excuse not to head to the Capital this autumn and winter. No Man’s Land at the Wyndham’s Theatre until 17th December 2016: See multi award-winning actors Sir Ian McKellen and Sir Patrick Stewart take to the stage together in No Man’s Land at the Wyndham’s Theatre. The play follows two ageing writers whose lively conversation one summer evening soon turns into a revealing power game. One of Harold Pinter’s gripping classics, the sinister plot line will have you guessing right until the end. William Kentridge: Thick Time until 15th January 2017: Discover the South African artist’s fascinating works with William Kentridge: Thick Time at the Whitechapel Gallery, his first major solo exhibition in the UK. Highlights of the show include some of Kentridge’s spectacular installations, most of which have never been exhibited in the UK before. Don’t miss The Refusal of Time, a multi-sensory installation combining performance, sound and moving images. Abstract Expressionism at Royal Academy of Arts until 2nd January 2017: Rediscover one of the greatest art movements of the 20th century with Abstract Expressionism at the Royal Academy of Arts. The first major retrospective on Abstract Expressionism in almost 60 years in the UK, this exhibition aims to re-evaluate the art movement, and give it new life and scope. From the colour-field painting of Mark Rothko, to Jackson Pollock’s gestural brushstrokes, the display showcases the reinvention of non-figurative painting by a varied group of artists. Wonderlab: The Statoil Gallery until 1st January 2020: Spark your curiosity in the Science Museum’s new permanent gallery Wonderlab: The Statoil Gallery. The interactive science gallery unravels and exposes the wonders of our everyday world through immersive exhibits, artworks and live shows. Explore the seven themed zones, take part in live experiments led by the gallery’s brilliant team of Explainers, and be inspired by incredible mathematical and scientific phenomena throughout your visit. The Radical Eye: Modernist Photography from the Sir Elton John Collection at Tate Modern from 10th November 2016 to 7th May 2017: Showcasing a selection of rare vintage prints from the 1920s to the 1950s, all collected by Sir Elton John through his lifetime, the exhibition features more than 150 photographs from 60 artists. Come up close to the work of remarkable photographers such as Berenice Abbott, André Kertész, Edward Steichen, Margaret Bourke-White and Alexandr Rodchenko. Working in a pivotal moment for photography, these artists opened up innovative ways to look at the medium, using it as an instrument to transform the perception of the modern world. The Lord Mayor’s Show, 12th November 2016: The Lord Mayor’s Show dates back to 1215, when King John granted a charter allowing the citizens of London to elect their own mayor. Every year since, the newly elected Lord Mayor of the City of London has travelled from the City of London to Westminster to pledge allegiance to the Crown. Join in the fun between 11am and 2.30pm as around half a million people line up along the route to watch the colourful parade travel across London. After the procession, a fantastic fireworks display lights up the sky over the river Thames from 5pm. The iconic golden Lord Mayor’s Coach can be seen at the Museum of London during the rest of the year. Dreamgirls at Savoy Theatre, from 19th November 2016 to 11th March 2017: Discover the revolutionary sound of 1960s America as the Tony Award-winning musical, Dreamgirls, bursts onto the stage at the Savoy Theatre. Design Museum Opening, from 24th November 2016 to 1st January 2020: Delve into the fascinating world of contemporary design as the Design Museum reopens in an impressive new building in Kensington. Boasting a cutting-edge interior designed by John Pawson and a lighting system created in collaboration with Concord, the remodelled Grade II listed building becomes home to the Designers in Residence Studio, Bakala Auditorium, Swarovski Foundation Centre for Learning and Sackler Library and Archive. The museum also continues to offer refreshments in the restaurant and cafe, as well as an exciting variety of stylish items and gifts at the Design Museum Shop located on the nearby high street. London May 2015 – With the summer set to be a scorcher, why not plan a visit to the Capital and with rates starting at just £99 per room at Kensington House Hotel* now has never been a better time to explore London. This great value package includes; overnight accommodation, continental buffet breakfast and a bottle of house wine. Enjoy some retail therapy with your feet up with “BY APPOINTMENT & Beyond” Harrods’ world-renowned personal shopping service. With a specially trained team of retail and lifestyle experts that can provide a multitude of products and services. Whether you desire a one-of-a-kind fine jewellery piece, a collector’s edition watch, bespoke luggage or a couture gown – anything is possible. Dancers from English National Ballet perform in Derek Deane’s critically acclaimed production of Swan Lake. The production caused a sensation at its world premiere in 1997 and has since been enjoyed by over 500,000 people, captivating audiences worldwide. True love triumphs over evil in this powerful story set to Tchaikovsky’s memorable score played by the English National Ballet Philharmonic. With 60 swans, stunning costumes and sensational lighting, experience a choreographic kaleidoscope as the Royal Albert Hall is transformed into a magical lake for this unrivalled dance event. From the lakeside seats to the top of the Hall, this in-the-round production of the world’s favourite ballet combines sensational spectacle, compelling drama and touching intimacy. Over 10 days in July 2013 – during one of the UK’s hottest summers since records began – The Royal Parks presented the inaugural Barclaycard presents British Summer Time Hyde Park, a totally unique and world class event which entertained over 350,000 fans in London. Again in 2015, each live music-packed weekend will be linked by a midweek programme of diverse entertainment, accessible for all to enjoy. From Monday to Thursday, the entire site, saved for the main stage, will give visitors the chance to get involved with smaller, more intimate events offering film, music, literature, sport and a specific family day that will expand the experience to genuinely appeal to the whole family. For line up and tickets click here! Over the past 15 years the Serpentine Pavilion has become an international site for architectural experimentation, presenting inspirational temporary structures by some of the world’s greatest architects. A much-anticipated landmark in London each summer, the Pavilion is one of the top-ten most visited architectural and design exhibitions in the world. Spanish architects SelgasCano are designing the 15th Serpentine Pavilion. The award-winning studio, headed by José Selgas and Lucía Cano, is the first Spanish architecture practice to be asked to design the temporary Pavilion on the Serpentine’s lawn in London’s Kensington Gardens. Always guaranteed to have on the edge of your seats, the Wimbledon Championships or simply Wimbledon is the oldest lawn tennis tournament in the world and widely considered the most prestigious. It has been held at the All England Club in London, since 1877. Who will take the cup home this year? The RHS Hampton Court Palace Flower Show in 2015 will once again bring you all the fun and excitement of a spectacular summer festival, in a historical setting. After a hugely successful 2014, look out for the famous Rose Marquee, brilliant show gardens and great family attractions in 2015. Kensington House Hotel, a contemporary town house of just 41 rooms, situated on Prince of Wales Terrace within an historic 19th century façade, has taken its place amongst the Kensington set and London’s cognoscenti. Stylish, intimate and friendly, this cool and understated property, which lies just off High Street Kensington, is an oasis of calm amidst the buzz of central London with overnight rates starting at £99 inclusive of VAT and breakfast. Follow @KenHouseHotel on Twitter and find us on Facebook. London, March 2015 – A little known fact about Kensington House Hotel, is that it is only eight minutes’ walk from the Royal Albert Hall. This year the schedule for the Hall is as eclectic as London itself and with rates starting at just £99 per room at Kensington House Hotel* everyone will be happy. This great value package includes; overnight accommodation, continental buffet breakfast and a bottle of house wine. Sunday 19th April 2015 – Classical Coffee Mornings: Jane Lindsay and Jennifer Hughes – Cellist Jane Lindsay is rapidly developing a reputation as an exciting and compelling performer. She has appeared both as soloist and chamber musician at venues including the Wigmore Hall, Purcell Room and Cadogan Hall, as well as at major festivals across the UK and Europe. Jane is also a keen orchestral musician and has performed with the London Symphony Orchestra, the Philharmonia Orchestra and the BBC Symphony Orchestra, with who she appeared at the 2014 BBC Proms. Tuesday 12th May 2015 – Magna Carta – The Freedom Game – Celebrating the 800th anniversary of the signing of the Magna Carta, Surrey Arts have commissioned a new community opera, Magna Carta – The Freedom Game, to be performed by 1,300 Surrey residents at the Royal Albert Hall. Telling the story of a Surrey family and their quest to win back freedoms which are taken away from them during a computer game, the opera explores the Magna Carta values such as democracy, liberty, citizenship and freedom. The opera concludes with the message that we should never stop playing for freedom. Thursday 14th – Sunday 23rd May 2015 – Eric Clapton (SOLD OUT) – Music icon Eric Clapton returns to the Royal Albert Hall to celebrate his 70th birthday. The shows will also mark 50 years since Clapton first played at the iconic London venue – his debut was on 7th December 1964 when he performed as part of the Yardbirds for BBC Two’s Top Beat Show. To date, the legendary guitarist has played the Hall on 198 occasions, including 171 headlining performances. Eric will be accompanied by his band members Paul Carrack, Steve Gadd, Nathan East, Chris Stainton, Sharon White and Michelle John. Sunday 1st – Sunday 12th June 2015 – Swan Lake – Dancers from English National Ballet perform in Derek Deane’s critically acclaimed production of Swan Lake. The production caused a sensation at its world premiere in 1997 and has since been enjoyed by over 500,000 people, captivating audiences worldwide. True love triumphs over evil in this powerful story set to Tchaikovsky’s memorable score played by the English National Ballet Philharmonic. With 60 swans, stunning costumes and sensational lighting, experience a choreographic kaleidoscope as the Royal Albert Hall is transformed into a magical lake for this unrivalled dance event. From the lakeside seats to the top of the Hall, this in-the-round production of the world’s favourite ballet combines sensational spectacle, compelling drama and touching intimacy. 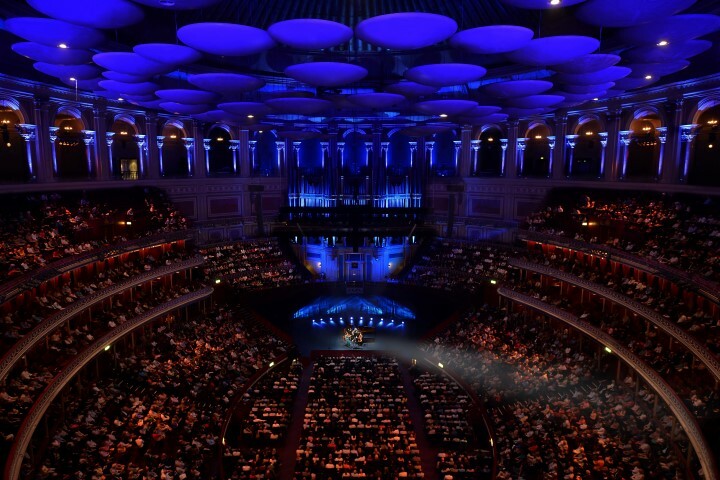 Plan for the proms – The BBC Proms 2015 season will be announced on Thursday 23rd April and the season will run from Friday 17th July to the Last Night on Saturday 12th September. London, February 2015 – This February Brides and Grooms can tick one to do off their lists, when they book the charming Kensington House Hotel for their wedding night. From just £190* per room, per night newlyweds can enjoy: Overnight accommodation in an Executive Double or Junior Suite; a welcome drink; a chilled bottle of Champagne and a delicious box of chocolates in the room and continental breakfast – served in bed! In such a dreamy destination the recently wedded couple can visit the romantic Kensington Palace and take a stroll through Kensington Gardens; shopping for the perfect honeymoon wardrobe at the nearby Harrods or Harvey Nichols; or taking in some world-class entertainment at the Royal Albert Hall. March 2014 – With the last few months proving to be a washout, why not plan a visit to the Capital this spring and with rates starting at just £102 per room at Kensington House Hotel* now has never been a better time to explore London. This great value package includes; overnight accommodation, continental buffet breakfast and a bottle of house wine. Experience what many believe is the greatest flower show in the world at London’s Royal Hospital Chelsea. Every year the grounds of the Royal Hospital are transformed into show gardens, inspirational small gardens and vibrant horticultural displays for the world’s most famous flower show. Book early to avoid disappointment. Following the huge success of Swan Lake, English National Ballet returns to the Royal Albert Hall in 2014 with Romeo & Juliet, starring leading dancers Carlos Acosta and Tamara Rojo. Derek Deane’s epic production, drenched in passion and tragedy, with Prokofiev’s evocative and powerful score at its heart, has been universally acclaimed by critics and audiences alike. The RHS Hampton Court Palace Flower Show in 2014 will once again bring you all the fun and excitement of a spectacular summer festival, in a historical setting. After a hugely successful 2013, look out for the famous Rose Marquee, brilliant show gardens and great family attractions in 2014. Over 10 days last July – during one of the UK’s hottest summers since records began – The Royal Parks presented the inaugural Barclaycard presents British Summer Time Hyde Park, a totally unique and world class event which entertained over 350,000 fans in London. Again in 2014, each live music-packed weekend will be linked by a midweek programme of diverse entertainment, accessible for all to enjoy. From Monday to Thursday, the entire site, saved for the main stage, will give visitors the chance to get involved with smaller, more intimate events offering film, music, literature, sport and a specific family day that will expand the experience to genuinely appeal to the whole family.